From the time immemorial, marketing and publicity of product and services have been the catalyst for sales, promotion and sustainability of businesses. It’s impossible to separate the growth of a business from marketing and advertisement. The reality is, if you don’t market what you sell, you will most likely consume the product yourself! Look around you, from the market place to the banks, bus garage and even the petty traders; all are doing their bit to promote their products and services. This article bothers on the issue of Email Marketing as opposed to the traditional prints, TV and Radio advertisement. The advent of internet-enabled devices has suddenly awoken us to the reality of Email marketing. Rewind to the early Year 2000s, email marketing changed the narrative of marketing and it’s not likely to change in another 80 years. 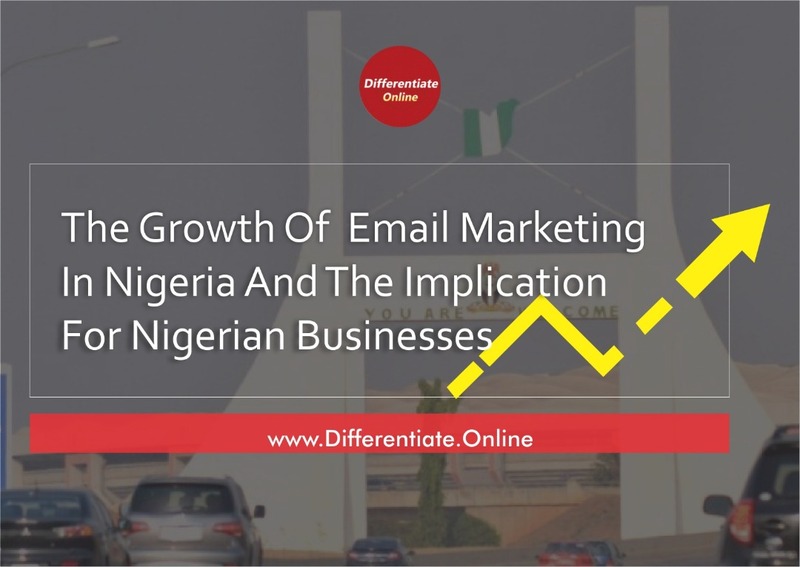 The Nigerian market has witnessed vast growth as a result of email marketing. Let’s quickly check out some facts that show how companies and small businesses have been able to leverage this resource. Statisca reported in 2019 that Nigeria has 23.3 Million users of Smartphone; what this means is that you there are about 23.3 Million valid emails because most of the smartphones require that it’s connected to an email before it can work effectively. E-mails are received and read on phone; gone are days when emails can only be read on desktop computers, we now have tablets and phones. You can now access your email anywhere and at your own time. Businesses have been smart enough to selectively get email contact of prospects and customers. This brings to mind the reason why banks, schools, registration portals and other online stores ask for your email address, it’s to keep you updated on news. Imagine what will happen if you can have access to emails of your target audience? It will save you time and money. However, one should be strategic with emails as your address can be marked as spam. The value here is the contacts on your email list get to read the content (adverts/marketing content) you have sent to their mail anywhere and anytime. Emails have helped to bridge the B2B and B2C gap; there was a time when post-men have to travel miles to deliver letters to the recipients. Back then, lots of information gets missing because letters were not delivered to the right persons, sometimes confidential document gets lost while in transit. The use of Electronic mail has reduced the time at which confidential and other information are passed across. For businesses, email helps you to pass your message in full details i.e you are able to share copies of a vital document via the ‘attachment’ features in various mailing web. Banks and other corporate businesses provide news update on products and opportunities to their customers via mail. Some e-mail service providers have even gone a step ahead to create an end-to-end conversation function that allows faster response to mail. It’s often said that there is no perfect system, but there is a better system. 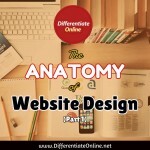 Email marketing is a better system for passing information whether it’s internal or external. 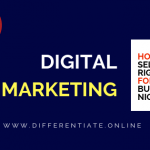 If you are a subscriber to an online newsletter, you would have noticed some emails are personalised, you get something like; ‘Dear Eze’, ‘Hello Oludare’, ‘Thank you, Usman’ – all these makes email marketing a big deal for any serious business. There is usually more urgency to read a mail if you can read your name from the preview message on the device your email is connected to. This marketing strategy is a unique one. If adopted, your customers will spend more time reading your message because it’s always a special feeling, tell me how did you felt when you first got a personalized mail from an organisation? Email marketing can only get better if you are able to get bespoke content and use the metrics to your own advantage. E-mails are usually with address and passwords, which gives it some level of security. Only the user is able to access the mail except if the user gives the password to a third party or uses a weak password. While sending emails (if the address email is correctly spelt other things being equal), senders are assured the receiver will get the message. Companies usually request that information such as Bank reports and Contract details are sent via personal/company email for reference and security purposes. Email marketing allows you to send emails to target a specific audience. The audience can be gender, location, occupation, or based on age. It all depends on what you are selling, perhaps the kind of message you want to pass across to your audience. Whichever way you want to look at it, all you need is to do is to source for the email addresses of the people you are targeting. This was not the case some 30 years ago; organisations had to result to using the prints (newspapers, fliers, and posters), radio and TV to promote their products and services. These adverts were thrown at the faces of the majority, whereas only a specific set of people actually need to see the advert. Here is an instance: Advertising sanitary pad to teenage girls will give you a better response than an audience that has boys and girls. Some teenage girls who would have gotten the product can be shy to do so, unlike when it’s advertised to a girls-only audience. Email marketing has ushered us into an era of targeted marketing. Email is an essential part of building and maintaining customer relationships in any field. 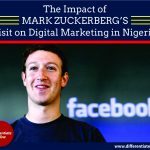 Just as Social media marketing is getting bigger, so also is Email marketing in Nigeria. Your customers are now online (no thanks to advancement in technology), it’s on you to reach out to them. 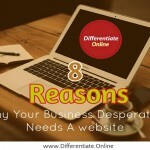 Business and organisations are growing their brand online because that where most of the customers are now. 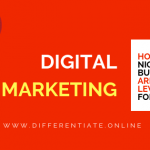 You are a call away from reaching a digital marketer, call +234 802 851 8313 to book an appointment. 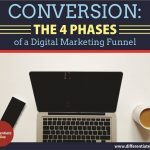 In my subsequent post, I will share with you how to get a better conversion rate with email marketing. Feel free to send feedback, please use the comment box below.